Offered @ Only £10,990 With No Hidden Fees! 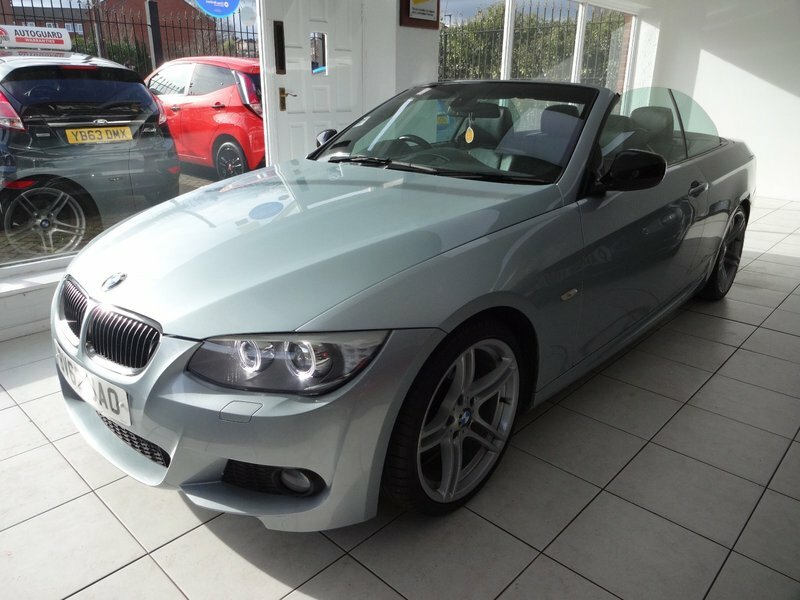 Presented In The Gorgeous Metallic Silverstone, This Top Of The Range Hard Top Convertible Sport Plus Model Really Stands Out From The Masses. Meticulously Maintained With A Full Service History Record With Regular Services Being Completed. To Include A Fresh Service & 12 Months MOT Before Delivery. Upgraded 19" Sport Plus Alloy Wheels, Satellite Navigation System, Full Black Leather Interior Upholstery With Complimenting M Sport Stitching, Heated Driver & Passenger's Leather Seats, Electrically Adjustable Driver's Seat With Memory Position, Electrically Adjustable Passenger's Seat, Park Distance Control, Cruise Control, Bluetooth Connectivity & Handsfree Audio, Voice Activated Controls, Steering Wheel Multi-Function Controls, Automatic Headlights & LED Running Lights, Dual Climate Control / Air Conditioning, Optional Stop/Start Driving Mode, Front & Rear Electric Windows, Electrically Adjustable Door Mirrors, Remote Central Locking, 2 Keys Provided. 4 seats, Metallic Silverstone.